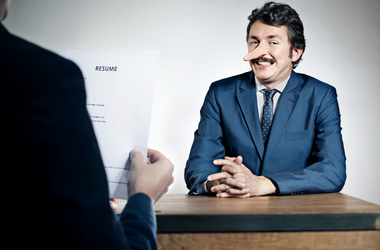 What if you're making one mistake that's ruining all of your interviews? It’s great if you are enthusiastic during the interview and could go on for hours. It doesn't mean that you should, though. Interviewers prepare a set of questions and are likely allotting a short amount of time for each. So, although you might be able to go on and on, don’t. It may come across as egotistical or (gasp!) boring. Whether or not you like their question is irrelevant because, obviously, the interviewer likes it if they asked it. Don’t half-answer in order to bridge to another question you’d rather answer. This will likely only irritate the interviewer and cause them to believe you wouldn't or, even worse, couldn't answer their original question. It’s great to seem friendly and also to nod in agreement when the interviewer is speaking. But do that the whole interview and you can come across as disinterested, checked out or not listening – all qualities that people don’t look for in potential employees. It’s tempting to exaggerate your experiences, even if ever so slightly, but this can easily come back to haunt you down the road. Whether it’s through references or just qualifications, make sure you can back up what you say during the interview process. Focus on qualities and skills you have strength in and don’t get carried away with silly exaggerations. If you find yourself needing to exaggerate too much, you may be interviewing for the wrong job position. If the interviewer shares a potential idea that is a task falling under the position they’re hiring for and you don’t agree with it, wait until you get the job to take a stand or give them advice on the position they're hiring for. You may have the most advanced technology out there for your presentation but do you know how to use it? It won’t help you one bit if you don’t. Practice beforehand so you’re familiar with your presentation format and because technology can be unpredictable create a back-up plan just in case things go awry. In the event things do go south (technology –wise), use it to your advantage to show the interviewer your organization, preparation and flexibility. Many interviewees would freeze in the situation but, when prepared with backup materials, you can roll with the punches and shine. Don’t judge an interviewer or other office personnel by their age or position. Be kind and courteous to everyone that works where you’re interviewing. After all, they work with the interviewer and people do talk. There are times when an interviewer may rub you the wrong way, ask a question that you find inappropriate or, perhaps, irrelevant. It’s always best to respond with grace than with attitude because, regardless of the question, the person is still your interviewer. If you give references, make sure they are favorable ones. A gap in employment is always better than a negative reference from a former employer. Sometimes references aren't negative, just halfhearted or unresponsive to a potential employer’s inquiry. Make sure that you ask your references ahead of time if they mind so that they can be prepared for the responsibility. Remember, you can also always ask to see any letters of recommendation sent on your behalf to ensure they meet your standards. While everyone wants to appear friendly and agreeable in interviews, beware of just seeming like a “ yes-man.” It’s great to communicate that you value working as a team and collaborating with others but, when you emphasize the importance of getting along with others too much in a interview, the interviewer may view you as weak or too concerned about what others think to get the job done. Nobody’s perfect. This shouldn't be news to anyone; yet, many candidates think they might be able to trick an interviewer into thinking they are. It takes a stronger person to admit their weaknesses than to hide them. Sometimes, it’s really OK to admit you don’t know an answer. Most interviewers will be refreshed that you can admit ignorance rather than trying to pretend you know what you’re talking about. Trust us; you’re not fooling them when you babble on about company statistics, data and reports you know nothing about. That being said, this only works to a certain degree. Prepare for an interview beforehand so that you know answers. Not knowing one answer is human. Not knowing any means you might need to prepare more or, perhaps, you’re interviewing for the wrong job position all together. Have you ever experienced any of these mistakes? What happened?